I simply hate coming up with long complicated passwords for blogs, work, social media, other apps etc. It is extremely hard to remember all the passwords and if I keep one password for everything, then that simply puts me at risk. I am pretty sure many of you are faced with the same problem. 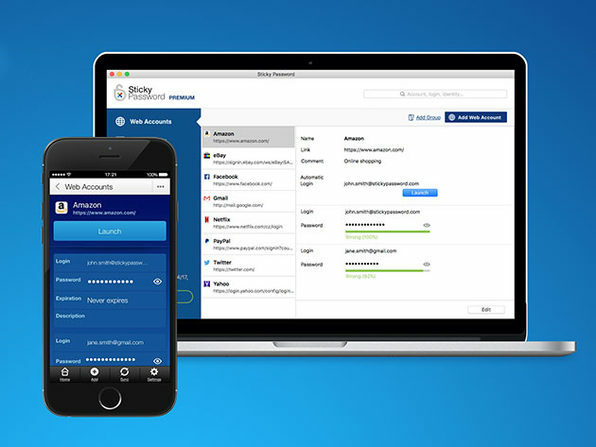 Wccftech is offering a massive discount on the Lifetime subscription of Sticky Password Premium. With this you will never have to face the password problem again. This is no ordinary password management system. It is amazing and has won awards for its amazing password management and form filler solution. It is available for Mac, Windows, iOS and Android. It will help protect your online identity and provides you with encrypted passwords for all your accounts. You just need one master password and then you are good to go. The license will cover one user only and all of his/her devices. After purchase redeem the product within 30 days. After this you are set for life. Happy Shopping!